If you are injured at work in the state of Colorado, you should be covered by workers’ compensation benefits. The rules for these benefits are outlined in Article 41 of the Colorado code. This code section makes workers’ comp a “strict liability,” or “no fault” system, which essentially means that an employer has to pay benefits for an injury regardless of who was at fault for the injury. Unfortunately, while no fault rules ensure that your medical benefits are paid, certain other benefits such as lost wages can be affected if your employer claims that you were responsible for causing your own injury. In order to protect your right to receive the full benefits available for no fault work injuries, contacting a Boulder workers’ compensation attorney is advisable. Those in Boulder, Longmont, Louisville, Lafayette, Erie, Broomfield, Greeley, Ft. Collins, Superior, Denver and the entire Colorado front range can contact The Dominick Law Firm today at (303) 447-2644 or using our online form for a free consultation to learn how we can help. In a typical injury case, if an injured victim is going to receive compensation, the victim will sue the party responsible for causing the injury in a personal injury or tort lawsuit. The injured victim will be responsible for proving that the other party is at fault for the accident. When the injury happens at work, however, things work differently. In Colorado, an injured worker must recover compensation for a work injury from the workers’ compensation system. The worker may not file a personal injury lawsuit against the employer (although in some cases can file a suit against a third party such as the supplier of a defective product). The benefits received by the worker are set by workers’ comp statutes, rather than by a jury awarding personal injury damages, and the injured worker won’t receive payment for things like pain and suffering and emotional distress. With these limitations, it can seem as if the workers’ compensation system significantly restricts the rights of workers. In reality, however, it provides much broader protection for an injured worker by establishing no fault rules. No fault means that it doesn’t matter if the employer is negligent or if the employer is responsible for causing the accident. In fact, under 8-41-101, even the employee’s own negligence does not preclude the employee from recovering compensation for a work-injury. Essentially, all of this means that if the injury happened at work, the employer has to pay for it no matter who was responsible. These no fault rules were passed in order to ensure that all injured workers received the medical care they need and the support they need after a work-injury. Employers are in the best position to buy insurance against an injury occurring and thus they become responsible for the purchase of the insurance policy. According to these code sections, an employee who willfully fails to obey safety rules, willfully fails to use safety devices, lies about his physical ability to do the job or is intoxicated or on drugs at work can have his non-medical benefits reduced by 50 percent. These non-medical benefits include disability/wage loss payments. In many cases, employers will try to claim that the employee engaged in a willful violation or violated a safety rule in order to reduce benefits. The reduction in your benefits may occur without any type of hearing or without any requirement that the employer prove your violation, forcing you to then take action and file an application for a hearing before the Division of Workers’ Compensation to fight for what you deserve. If you find yourself in a situation where your employer is trying to pass fault off onto you or otherwise trying to unfairly deny your access to benefits under the no fault workers’ compensation system, you should strongly consider speaking with a Boulder workers’ compensation attorney for help dealing with insurance companies. 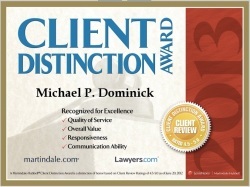 The Dominick Law Firm assists clients throughout Boulder, Longmont, Louisville, Lafayette, Erie, Broomfield, Greeley, Ft. Collins, Superior, Denver and the entire Colorado front range. If you live in this area, contact us today at (303) 447-2644 or using our online form for a free consultation to learn how we can help.